We are fierce but also sweet and soft. Steiff EAN 064234 Ozzi Serval, 32cm. Ozzi Serval is made out of soft multicolored plush. He is filled with synthetic filling material. Ozzi has a plush nose and safety eyes. He is one of the dangling animals. Hummi has a stainless steel button in his left ear. Leo is made of blond soft woven fur with airbrush details. He has safety eyes and a plush nose. He is filled with synthetic stuffing material and machine washable (30 degree C). He is with the CE mark for safe toys. 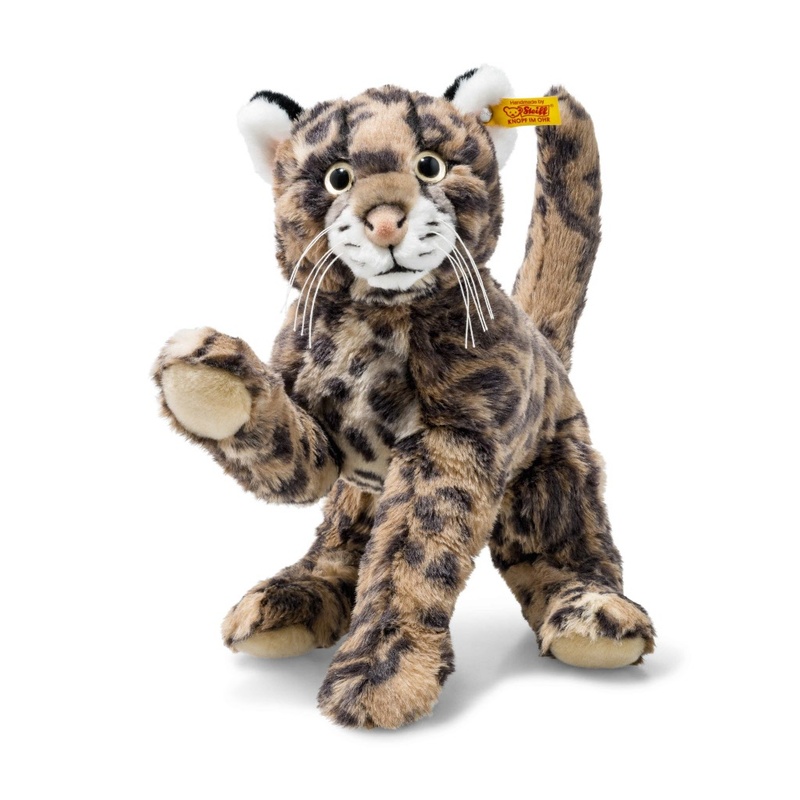 Steiff EAN 064647 plush baby cheetah dangling, 26 cm. Cheetah is from the dangling serie, sweet cuddly animals with very long arms and feet to been taken on an easy way for young children. Cheetah is made of cream/brown spotted coloured cuddly plush, has safety eyes and is filled with synthetic stuffing material and Machine washable (30 degree C). He is with the CE mark for safe toys. 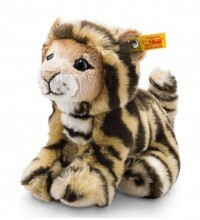 Steiff EAN 084102 Billy Tiger, 20cm. Billy tiger is the right playmate for your wild little tigers at home. 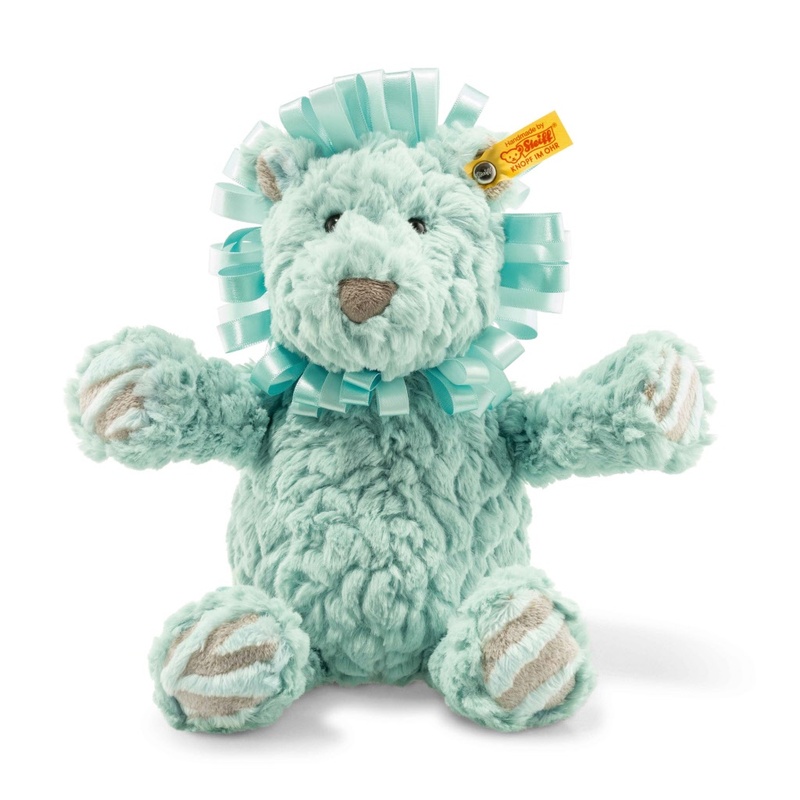 It's 20 cm tall and its striped cuddly soft fur makes Billy into an absolute cuddly cat. Billy tiger has a granulate bag in his rear so that he can sit more stably. 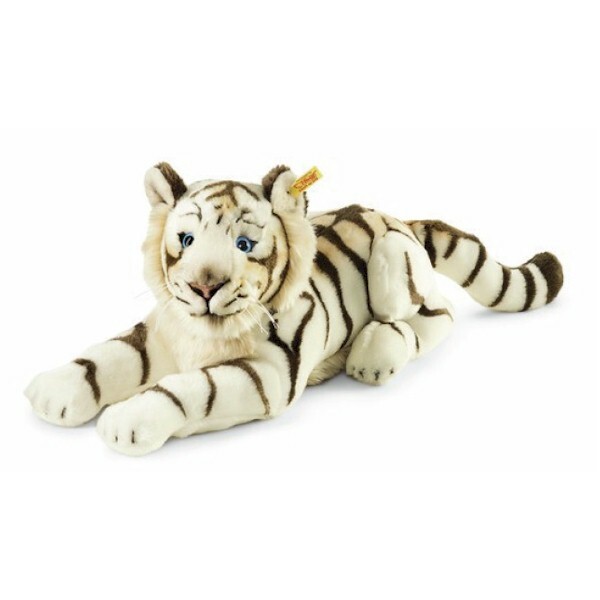 A really cute gift idea for playing and cuddling for your little tigers at home! He is sitting and stuffed with synthetic filling material. 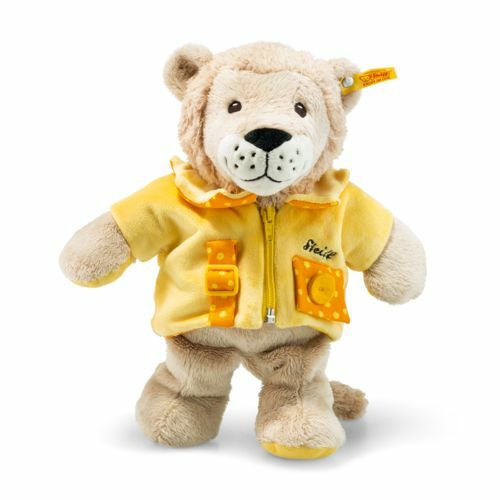 He has safety eyes and is machine washable at 30° C.
He is with CE mark and stainless steel "Button in Ear"
Steiff EAN 240607 Leon Lion, 30 cm. Leon is made of beige plush for baby-soft skin. He has embroidered eyes and is stuffed with synthetic filling material. He is machine washable at 30° C and has the CE mark for safe toys. He has a stainless steel “Button in Ear”. Leon is wearing a yellow and orange jacket with tools to practice how to handle a zipper, button and clasp. 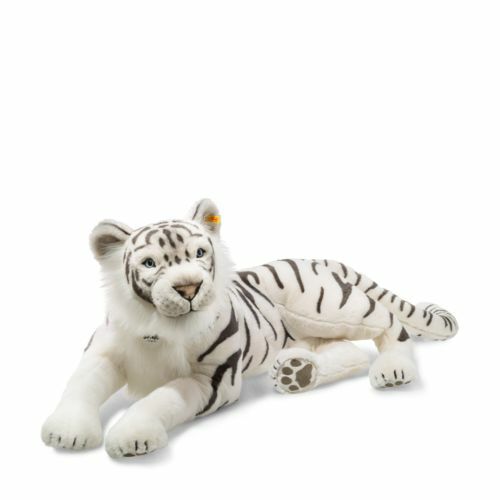 Tuhin, the White Tiger is 110 cm big and is made of white cuddly soft plush with airbrush details. He is laying, has safety eyes and is stuffed with synthetic filling material. He is hand washable and has the CE mark for safe toys. Leo is made of cream/brown coloured cuddly plush, has safety eyes and is filled with synthetic stuffing material and Machine washable (30 degree C). He is with the CE mark for safe toys. Steiff EAN 066153 plush Bharat white tiger, 43cm. Bharat is made of white coloured cuddly plush with airbrush details. He has safety eyes and a plush nose. He is filled with synthetic stuffing material and machine washable (30 degree C). He is with the CE mark for safe toys. 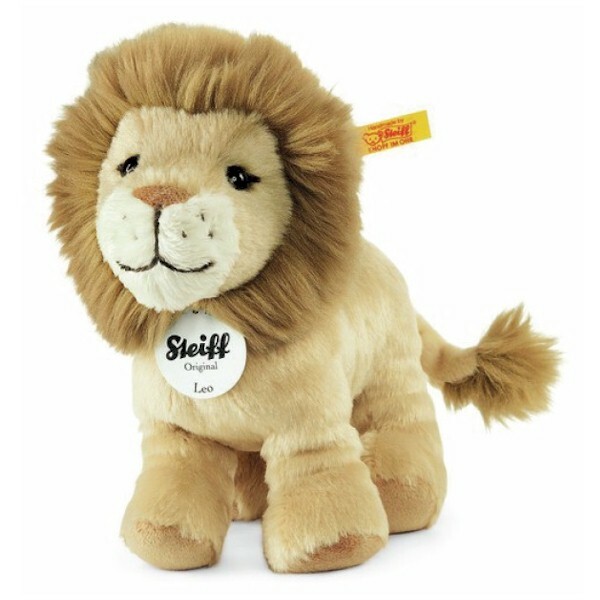 Steiff EAN 066658 plush Leo lion, 16cm. 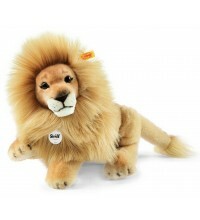 Leo is made of brown and cream coloured cuddly plush, has safety eyes and a brown plush nose. He is filled with synthetic stuffing material and machine washable (30 degree C). He is with the CE mark for safe toys. Leo is from the dangling serie, sweet cuddly animals with very long arms and feet to been taken on an easy way for young children. Leo is made of cream/brown coloured cuddly plush, has safety eyes and is filled with synthetic stuffing material and Machine washable (30 degree C). He is with the CE mark for safe toys. He has airbrush details. Steiff EAN 065637 Timba Lion, 42 cm. 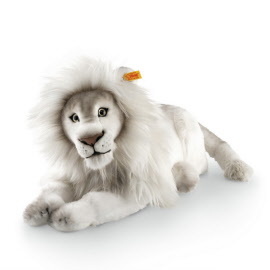 Steiff Timba Lion is made out of white plush. Steiff Timba has a pink plush nose, safety eyes and airbrus detailing. 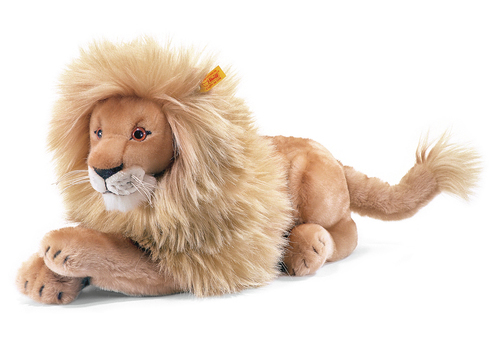 This animal is machine washable at 30° C.
This Steiff plush toy has the CE mark for safe toys. Steiff Timba has a button in his left ear. 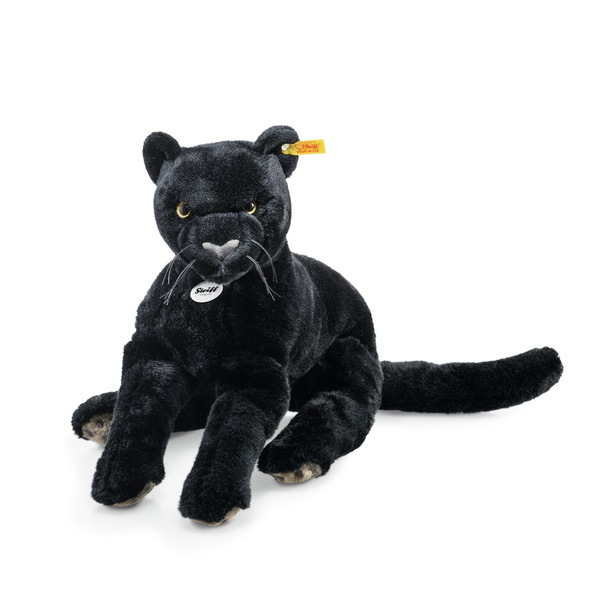 Steiff EAN 084072 Nero Panther, 40 cm. Steiff Nero Dangling Panther is made out of black plush. Steiff Nero has a grey plush nose and safety eyes. Steiff Nero has a button in his left ear. Steiff EAN 065620 Pawley Lion Soft Cuddly Friends, 30cm. 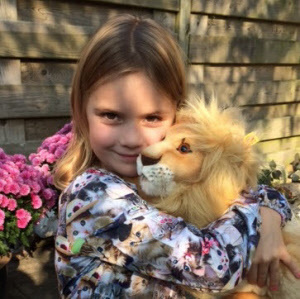 Pawley Lion gives warmth and comfort. The 26 cm tall Lion has ringlets attractive to children and is soft and warm which provide comfort and softness. It's a wonderful present on many occasions. 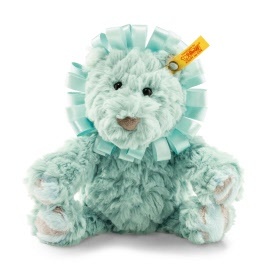 It is made out of mint soft plush and stuffed with synthetic filling material. The baby collection has safety eyes and nose and is machine washable at 30° C. It is with CE mark and stainless steel "Button in Ear"